Just because there's no Galaxy S8 flagship to announce just yet, it doesn't mean Samsung can't unveil the next model Gear VR. This latest version of the headset comes with an accessory of its own - a standalone controller. The headset comes with 42mm lenses that deliver a 101-degree field of view and feature an advanced distortion correction tech to minimize motion sickness. 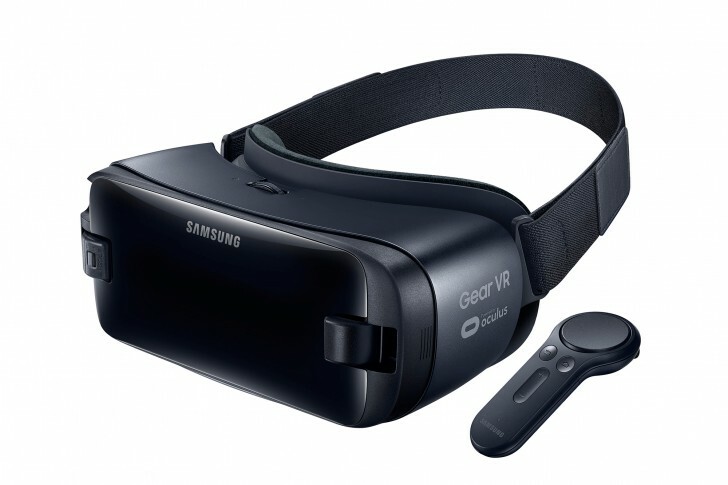 It's compatible with both microUSB and USB Type-C devices, so every existing Samsung flagship since the Galaxy S6, plus the upcoming ones, will work with the new Gear VR. The Controller is powered by two AAA batteries which on average should last it for 40 days if you use it for 2 hours a day. It's also got a wrist strap to prevent you from hurling it across the room when the action gets too intense. I seen the Google Daydream VR controller. It looks lretty much the same with touchpad and all. I think most controller are design as simple as it could get. Nothing fancy like HTC Vive controller. Vive is undeniably more expensive anyway.